As an equestrian, you understand that your horse is an athlete and manage his care so he’s in top physical condition and able to perform at his required workload. But what about your physical wellbeing? Yes, equestrians are athletes – and your fitness matters too! Riding requires a certain level of horse-rider coordination, symmetry, strength and endurance that can be enhanced through specific exercises to keep your body in motion. 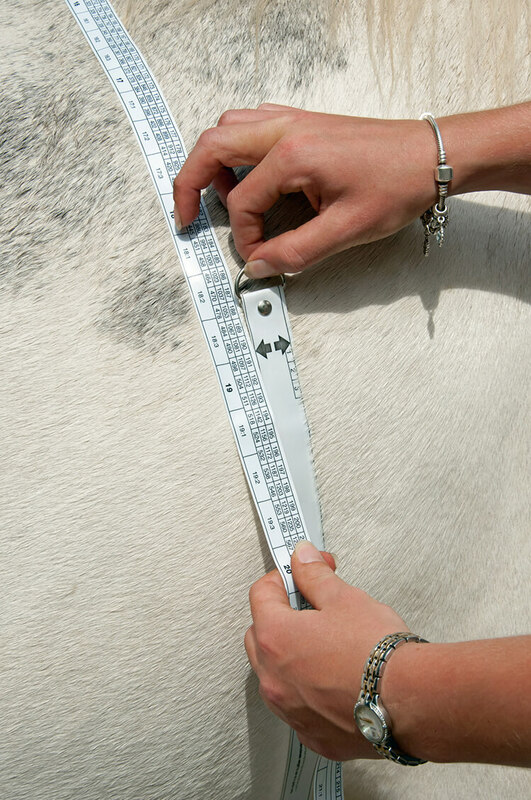 A fit rider is well-balanced, making it easier for his or her horse to move. If you are physically fit, you’ll have the mobility and core strength needed to better equip your horse to jump over fences, learn new dressage movements or chase the cow down the fence. Of course, putting hours of time in the saddle will help you get in shape; however, there are additional steps you can take to improve your overall fitness and wellbeing. There are four basic areas of rider fitness – nutrition, flexibility, strength/resistance and aerobic or cardio. While all these elements should be incorporated into your exercise program, certain areas may require more emphasis depending on your chosen equine sport, current health status and any weaknesses you may have. Start by getting a physical exam to determine the best course of action. Mention to your physician, personal trainer or physical therapist that you are a horse back rider and need to develop a fitness program. A thorough sports-oriented physical will focus on balance, aerobic fitness, strength, flexibility and weights. This analysis should highlight your strengths and weaknesses, which will help you craft a fitness program around those areas. Start incorporating good nutritional habits into your daily routine. Most riders usually fall into one of two categories: the rider who is a good weight and the rider who may need to lose weight. If you’re at a healthy weight, begin assessing the food you’re eating for nutritional value such as lean protein, and healthy fats and carbohydrates to help sustain energy. If your goal is to lose weight, you may want to consult your physician to verify the nutrition you should be receiving and design a healthy plan to successfully lose weight. Healthy diets should incorporate unprocessed foods and a balanced mix of lean protein, healthy fats and high-quality carbohydrates. Flexibility is the ability to bend joints effectively through a complete range of motion. Every person has a different degree of flexibility, depending on age, weight and level of physical strain. For riders, a certain degree of flexibility, especially in the hip and pelvic area, is needed so the horse and rider can move together in a forward, flowing motion. Increased flexibility also helps reduce the risk of injury that can occur with tight joints. Riders who are stiff or rigid in these core areas tend to cause tension by gripping with the knees and are heavy-handed in the bridle. Stretching your muscles as a part of your daily routine can help increase flexibility. There are a few good yoga stretches that you can do at home to help open your hips and pelvis. Try not to stretch cold muscles; stretches should always follow a warm-up and be performed on a padded surface, like a mat or towel. The low lunge targets your hips, groin and quadriceps. In this pose, put one leg out in front of you in a 90-degree angle to the floor and the other leg resting straight behind you with your knee on the ground. Make sure your knee is positioned vertical, not over your toe, or you can strain or damage your knee. Hold for 30 seconds, then switch legs. The pigeon pose stretches your glute muscles, which can tighten during riding and put your leg in an incorrect position or pressure on your lower back. In this pose, bring one leg forward and bend at the knee, resting it on the floor across the middle of your body. Straighten the other leg out behind you with the front of your thigh and knee resting on the ground. Make sure to point your hips straight, not off to one side. Hold for 30 seconds and switch legs. While working on flexibility, consider ways to improve your balance and symmetry. 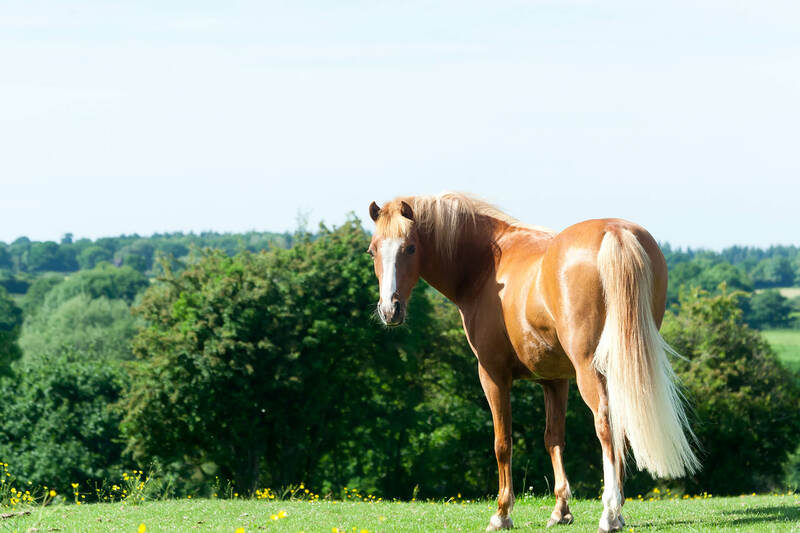 An evenly balanced and symmetrical rider makes it easier for the horse to understand the training cues and more be comfortable, allowing his back muscles to relax. You want to be an asset to your horse, not a liability. Engage in strength and cardio training about 3 times per week, but don’t do both on the same day. You should have at least 48 hours between strength training and cardio workouts. Always seek guidance before you start weight training to confirm that you’re using the right weight for your abilities. If you start with weights that are too heavy, you could end up hurting yourself with too many repetitions or lifting incorrectly due to exhaustion. Strength training also encompasses exercises to tone your core muscles and rebalance the body. Riders need to be strong in their core, which includes the sides and back. One great exercise that engages the core muscles and triceps is the plank. Start on your hands and knees. Lift up on your arms and slide your legs straight back behind you. Try to hold the position for 30-60 seconds. If you can’t hold the position with your arms straight, you can also plank on your elbows. Make sure to engage your abdominal muscles and stretch upward as if to separate the top half of your body from the bottom, keep your hips level and maintain straight alignment from your heels to your shoulders. Cardio and aerobic exercise can be as simple as adding some jogging to a daily walk, walking the dog, swimming or working out on a stationary bike or treadmill. Don’t be afraid to change your cardio routine if it helps you maintain the program. Setting goals for your exercise program is important to your overall success, but they need to be realistic. If you haven’t run in years, you probably won’t be able to run a mile on your first week of training. Find programs and exercises that are designed for rider fitness and aim to achieve specific, measurable goals. Don’t forget to take your body measurements at the start of the program, record how long your cardio sessions last before you need to take a break and the amount of repetitions you can perform with certain weights. Keep a chart and track your accomplishments. Remember to give yourself at least one day off every week. Like your horse, your muscles need time to recover after a hefty week of training. Many free programs and online resource guides are available that can help you set goals and train in an organized fashion. Be patient; if you’re starting from scratch, it will take some time to get fit again. Be realistic in your expectations and stay focused on the end goal and how it can help improve your riding and your horse.